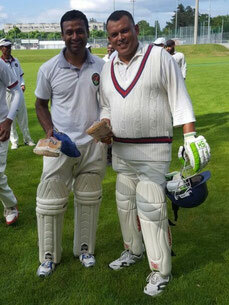 GSLCC's Uddika crushed GICC at Boud du Monde with an unbeaten 174 (6×18 and 4×10) which lead GESLCC to a glorious win. The target of 255 was chased in 26.3 overs. The openers, Uddika and Sanjeeva comfortably settled at first and then steadily increased the scoring tempo to gain runs. Sanjeeva fell in the 8th over and Lalantha on the 13th over with modest score of 107. Majuran began the innings with his trademark boundary and continued to play some exciting cricket. 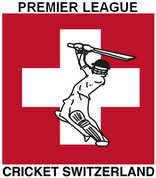 Sanjeewa 11, Lalantha 4, Majuran 39, Dugel 5 not out. GICC elected to bat first on a wicket that offered a lot for both batsmen and bowlers, Ravi, Majuran, and Lalantha, started well with swinging the ball prodigiously in the warm, humid conditions. The first wicket fell at 3 runs at the 3rd over. Despite aggressive and accurate bowling, the batsmen Habib and Balajii of GICC did very well to stand firm and lead on until the 19th over with 84 runs. The bowling was largely characterized by accurate with an occasional loose ball which were well and truly punished by GICC. Indika and Amirthalingam, were the next pair of bowlers of GESLCC and they kept the pressure on successfully. Indika bowled eight tight overs with some aggression and collected one wicket while Amirthalingam gradually found his rhythm and manage three wickets for 24 runs. GICC lost 8 wickets in 40 overs for 255 runs, Highest score Habib 133 , Balajii 35, Sarajeet 27, Balik 17, Leo 3, Dilbi 1, Sanket 0, Ibram 0, Hemanth 11 not out, Thomas 3 not out. This report originally appeared on the GSLCC website.